In the market there are different types of olive oil. They all come from the same fruit, the olive. The composition and production methods to obtain it, make some of the most important differences between them. They are classified according to physiochemical parameters, determined by laboratory analysis, and sensory qualities, established in an official tasting panel. 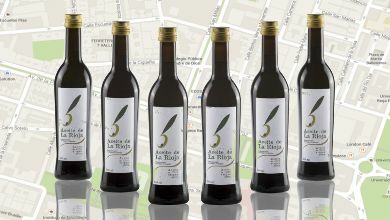 Symbol of quality and differentiation, the Rioja oil PDO, protects the oil produced in a region, La Rioja, where the farming of olive trees dates back centuries. Made with fresh fruits, grown according to traditional practices and picked using modern techniques, the liquid gold enjoys an exceptional quality.